One of the most frequent considerations for travelers to Amsterdam is when to visit, and you should consider February for an off-season trip if you don't mind the chilly weather but want to save money on your trip. In February, the major tourist attractions aren't deserted by any means, but there will be fewer crowds, and to beat the weather, Amsterdammers offer tourists plenty of tasty options to keep warm, including hot cocoa pauses on the bare Museumplein (Museum Square) and fondue at local Swiss enclaves. Fortunately, if you bundle up properly and remember to bring the right gear to stay warm, February is a wonderful month to see Amsterdam, either for the first time or as a seasoned tourist. 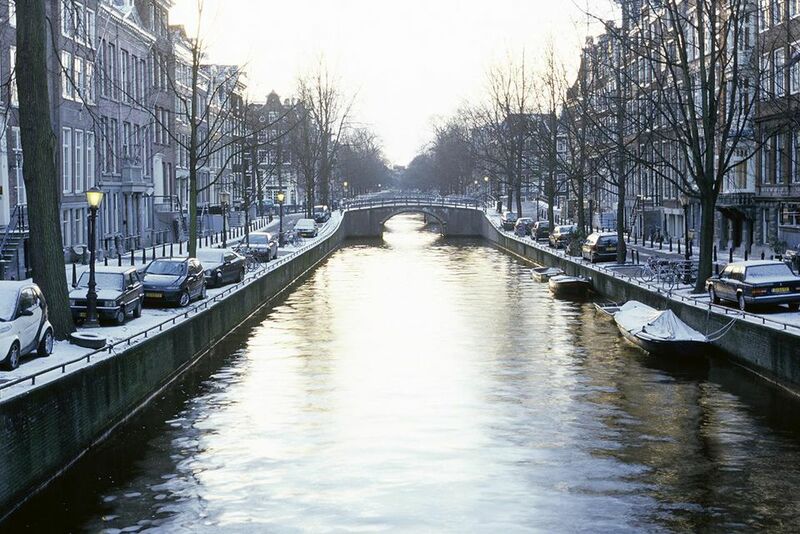 Although February is Amsterdam's coldest month—with average an average high temperature of—you won't find much snow this time of year since temperatures rarely drop below freezing. Additionally, February is typically fairly dry, getting just under 2 inches of precipitation over the course of 10 days in the month. February gets just over nine hours of light per day, but due to the city having overcast or partly cloudy skies most of the month, you'll only get about an hour or two of direct sunlight per day. Fortunately, that's still plenty of daylight for you to walk to the museums or take a canal boat tour before the nighttime chill settles in over Amsterdam. Winter in Amsterdam is chilly but not frigid, so you should bring your layered clothing topped with a warm winter jacket, preferably waterproof. Additionally, you should pack jeans in darker shades, and a wool hat, scarf, and gloves will come in handy for any extended time outdoors. Walking shoes, nice sports shoes, or boots are a must while walking along the cobblestone streets and visiting the gardens, but high heels and open-toed shoes are discouraged this time of year. If you want to dress up a bit for the opera or fine dining, men can put on a nice sweater, dress slacks, and dress shoes, but should also consider wearing long, thermal underwear to protect from the brisk air; women can wear dresses or business casual attire but should always remember to wear a long coat for the former. While you won't encounter throngs of tourists, there are some great events that will draw crowds during the month of February. Chinese New Year: Annually held in late January or February, Amsterdam's Chinese community recreates an authentic Chinese New Year celebration every year on the Nieuwmarkt, the heart of Amsterdam Chinatown. The festivities feature a traditional lion's dance and spectacular fireworks, and the Nieuwmarkt itself is covered in stalls and street artists for revelers to enjoy. Valentine's Day: While tokens of this non-native holiday have crept into the Netherlands, it's not widely celebrated. However, for Valentines who wish to celebrate abroad, there are some great ideas for romantic activities in Amsterdam, and you won't want to miss the excuse to sample some of the best chocolatiers in the city on February 14 this year. De Koninck Blues Festival in Delft: Blues musicians take over more than 30 venues in Delft's picturesque Old Town for a few days each February. Performances are free, but blues workshops and lectures carry a modest fee. Delft is located approximately 40 minutes from Amsterdam. Wonderland Festival: This annual dance and music festival features a full lineup of electronic music that takes place in the Warehouse Elementenstraat at Elementenstraat 25. The cultural arts season is in session during February, so your Valentine's Day plans might include a spectacular production of "Tannhäuser" courtesy of De Nederlandse Opera. Keukenhof Gardens, just outside of Amsterdam, will be blooming with crocus and paperwhites. If the weather is warmer, you might even see early daffodils blooming. Established tours and public transit will take you to these famous gardens. On the plus side of visiting in February, airfares and hotel rates reach a low this month, as companies try to attract customers with competitive rates. The crowds of tourists are at their yearly low, so February visitors have the run of Amsterdam's popular museums, attractions and more. Overall, Amsterdam fashion is "euro-casual," so you'll see guys going to work in a white dress shirt, jeans and dress shoes while women's styles include the traditional, the vintage-quirky, and stylish European clothing available in local shops.